Soothe your body and comfort your mind and soul with this classic relaxation massage. If you are suffering from certain impairments that are affecting you in your daily life and need some relief, then this deep tissue massage is better suited. Therapeutic massage improves circulation by bringing oxygen and other nutrients to the body’s tissues. It helps relieve muscle tension and pain, increases flexibility and mobility, and helps clear lactic acid and other wastes, which reduces pain and stiffness in muscles, joints and other soft tissues. 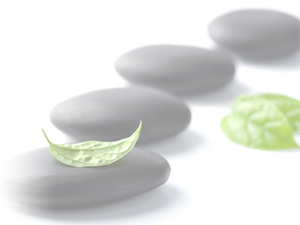 Experience complete relaxation as warm basalt stones are used to massage tired and aching muscles. As the heat penetrates deep into the muscles, layers of tension and stress just melt away. Leaving you warm to the core. * 90 minute treatments are recommended for clients who wish to have a full body treatment. Learn how to effectively massage your baby at home. Touch is a very powerful element in bonding with your baby. Infant massage helps secure and relax your baby, improves sleep and helps with constipation and colic. Time is depending on baby’s disposition and the amount of questions to be answered.